Believe it or not puzzle app players, I do find time to read books. 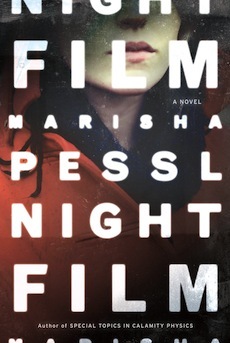 A colleague recommended Night Film by Marisha Pessl. I'm 100 pages into it. It's a good novel. What I discovered yesterday: there are images of birds scattered throughout. If you download the app, you can access some audio/visual elements. When I first saw WrapSlide on the app store, I immediately came to the conclusion: looks like another 'slide the rows & columns to match the pattern puzzle app. We have seen at least a dozen versions of this. I did not download it. I was wrong. About a week ago Alewyn Burger, the author, contacted me about his game. WrapSlide is different in a significant way. See the heavy black lines that divide the shape into 4 quadrants? You cannot slide a single row or column. Instead, you will slide them all together. Meaning: you can slide only 4 things: the southern hemisphere or the northern hemisphere or the eastern or western. You have the controls to set the level of difficulty. See the first image? Your task is to get the yellow squares into 1 quadrant. As your understanding of the puzzle increases, you can increase the level of difficulty by making the grid larger and have more colors. I started with the easiest level to get the feel for the game - it's more challenging than I thought. Then I jumped to 4 colors with the smallest grid. Getting the first color is relatively easy. The second color wasn't too bad. But I was not able to get the third & fourth which of course must be solved simultaneously. WrapSlide is a serious FREE puzzle app game. Definitely, give it a shot. On another note: this blog finally has 150 followers. It's taken 4 years to get that far. Because there are about 500 visits/day, I'm guessing that some people are not signing up as followers because they don't want junk email. Just so you know: you will never get any email from this blog. Unless you write to me. Connect Cubes is an edge matching puzzle. Red squares can be rotated, but not moved. The blue ones can move, but not rotate. The pinks can do both. There are 200 levels. I've done about 40 of them. 10s Challenge - Hardest Game in The World may or may not be the hardest game in town. But it is tough. You must drag the red circle to pick up the 3 yellow stars while avoiding the bouncing squares and the blue lines. I got through 12 levels. I like this game, but that's probably it for me. Nixie - Challenge Your Brain comes from Andrew Zaharek and Joshua Levesque. It's a free puzzle app game that took me extra time to understand. It's very similar to Akari, which is also known as Lighthouse. I exchanged a few emails with Andrew & learned that he never knew about Akari. Weird: I solved all of the beginner levels, but didn't really understand what I was doing! You must place a circle that will light up the row and column and eventually get the whole board lit up. Here are the key differences from Akari: a cluster of 3's means that there will be 3 circles in total that will touch them. Also, those circles can be placed diagonally to a number. One more rule difference: no circle can be placed in a field of nothingness. A circle must be next to a number. There are about 130 levels. I've solved all but 10. Right now I'm stuck on the hardest category #2. It's a massive grid where one must use a certain amount of guess & check. Something annoying: Nixie is free but there are video ads. They pop up every 3 or 4 levels. Even more annoying, they can pop up when you want to clear the board by clicking refresh. Andrew informed me that they are going to make them less frequent. There's also a time element to them. Without a doubt, Nixie is the best game of the week and will certainly make the list of Best Puzzle Apps of 2014. It's a pure puzzle. Rolling block mazes have been around for a while. After one of my students showed me Bloxorz, I gave him a 10 point bonus on his next test. Block N Roll 3D is nothing special. There are 18 levels and I solved them in about 15 minutes. Here's what's interesting: some tiles are yellow, which means that they cannot sustain much weigh. The 2x1 block can not rest entirely on it. RubiCube is another 'slide the rows & columns to match the pattern' type puzzle. We've seen at least a hundred of these. RubiCube has 200 levels. I did the first 14 levels in about 15 minutes. I wanted to jump to the harder levels, but didn't want to pay for that privilege. Right now I'm playing another new app that's more worthy of your time. Nevertheless, here's the link to this game. Numoo is a point scoring tilt/dodge game. You are the circle and can slide up and down the rope. As the numbers slide in from the right and left, you must crash into them only if they are higher than you. It's not terribly good but it's actually hard to put down. In terms of the Leaderboard, there are 264 players and I'm #19 at the moment. Early 1981: after playing with the cube on/off for a few weeks, I woke up on a Sunday morning and said to myself: TODAY IS THE DAY THAT I WILL SOLVE THIS. 9 hours later, it was DONE! (Halfway through my grandmother came over and she wanted ...to try it. Within seconds, she ruined whatever progress I had.) I got the corners by partial luck and then figured out the edges. I didn't fully understand my algorithms. The next day it took me only 4 hours. The day after - 2 hours. Eventually I came up with an algorithm for the corners. I know that my method is slow - my fastest time is about 2 minutes. I'm resistant to learn the faster methods because I didn't figure them out myself. Erno Rubik is a great man. Mr. Erno Rubik could be the most influential person of the 20th century. Square - Push Square is a sokoban type puzzle game. The circle is supposed to push the blue squares onto the white dots. When that happens, the squares turn red. Here's what I like: if you wish to move the dot (not pushing anything) to any place on the grid, tap that square and it will do the rest. Skips the tedium. There are 240 levels. I did the first 20, another 40 levels in the middle and the final 20. They go pretty fast and are not very hard. But keep in mind that I've done a few thousand of these types in other games. Square - Push Square is pretty slick and well done. I'd just prefer to see some very challenging levels. EnigmOn is a puzzle app game that is similar to 100 Floors and all of its clones. There are 28 levels to solve. See the key? That's level 1. See the safe? That's where I'm currently stuck. Right now the price is $1.99. 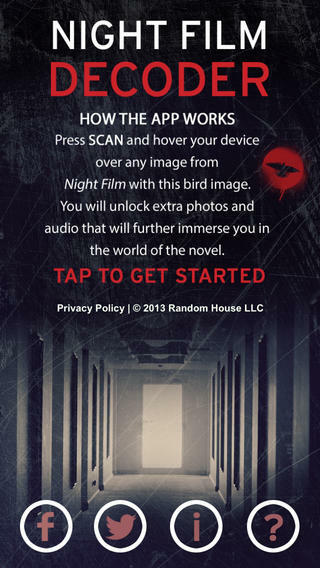 I got it for free because AppsGoneFree keeps track of cool apps - of all types - that become free for a limited time. About 2 weeks ago, they featured Can't Stop about a week after I paid $1.99. Oh well. On another note, looking at newly published puzzle apps - there is a deluge of clones of Threes! and 2048! There must be at least 100 of these. What's disappointing is that it's harder to find the real gems under the rubble. If you find something good, do send me an email. Jewel Keeper is a sokoban type puzzle app. Your task is to push the jewels onto the green spots. I first came upon the sokoban type puzzles from boxworld back in 1994. I love the genre. However, Jewel Keeper is not terribly interesting. I suppose it's good for young puzzlers. What's up with the young woman in the black dress? above is the game that I'm obsessed over. I told myself that I would stop when I got to the 1536 tile. After playing for 3 months, I finally got it and got a score of 62,000. However, I'm still playing it. I got another 1536 tile. Now I'm gunning for the 3072 tile. Crazy! The object of Nino is to get your man, the puffy white cloud, from one side to the other without being attacked by the dark clouds. Good & evil theme. Your man can move 2 squares at a time, while the black clouds can only move 1 square at a time. The first set of challenges - that's about it. Then there are a whole slew of elements. See the windmills? Land on one of them and you can move another square. See the drooping sunflower? You will need to land on the fish tank to pick up some water, then land on the sunflower. Other elements you will face: smoke stacks and electrical grids. There could be more that I haven't seen yet. There are 200 levels. I've solved only 37 - because they get hard! Frozen Ice Cubes Fall Strategy Challenge is a deceptively good set of puzzles. The object is to move one ice cube to one pail. The ice cubes can drop into the pails from the top or sideways - okay that's a bit weird. Ice cubes travel together - right, left, down, but never up. Great feature of this game: each level can be solved at 3 modes: easy, medium, hard. Essentially, the easy modes allow you to solve the same puzzles with more moves. Regardless, some of the puzzles are hard with an unlimited number of moves. Tricky is a better word. There are 120 levels & I've done 63 so far. Undone Panda has done a great job here with this puzzle game app. OverColor is an interesting puzzle app game. The object is to match the shape in the left square by placing the various shapes in a certain sequence. Look at the example. See all the blue-ish shapes? It appears that they will not all be used. Want to win a prize? This blog is about to get its 500,000th visitor. If it's you, take a screen shot & mail it to me: Mylastname@hotmail.com to receive a small prize. WonderCube is a free puzzle app game that's surprisingly difficult. The object is to score a certain number of points within a certain number of moves to advance to the next level. The point scoring system is not explained anywhere. Tap on a group of 1's and you will score that number of points and they will turn into a single 2 - at the spot where you tapped them out. Suppose you tap on seven 3's. You will score 21 points. Straight forward. But now we come to scoring with a chain. First tap on some 1's. They will become a single 2. If that 2 is part of a group of 2's, then you will get double the points. If that group of 2's becomes a 3 that forms a group of 3's, then you will get triple for that. However, suppose you start your chain with the 2's. When you tap on the 3's you will only get double the points. Strategy: you definitely want to build up to get a chain of 5's. But your moves are limited. WonderCube is all about building successive chains. See the row below the grid? You can swap those tiles when necessary. However, doing so will break the chain scoring. Regarding the graphics - yeah, they're geared to the youngsters. There are numerous opportunities to buy your way out of a level. Bottom Line: WonderCube is actually quite serious. There are 50 levels and I'm stuck on 11. Why? Because after level 10 there's an 'energy' level. I only got 1 star on that and cannot try again for another 7 hours. Unless I buy some energy for $.99.